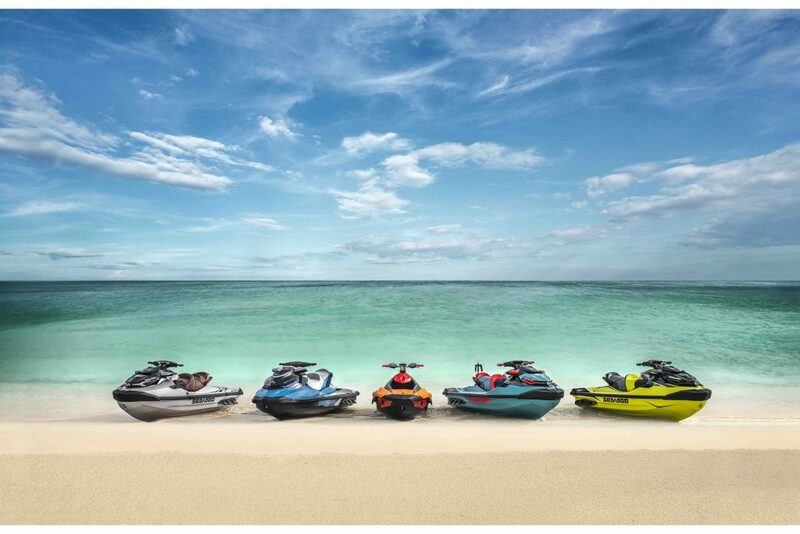 Meet The 2018 Sea-Doo Line Up. Meet the future of Sea-Doo. Dallas, Texas, Sept. 20, 2017 – BRP (TSX:DOO) announces an entirely new platform for select models in its 2018 Sea-Doo lineup of personal watercraft. With BRP’s obsession to provide the best consumer experience possible, this innovative platform transforms the onboard experience and extends the possibilities of activities riders can do with a Sea- Doo personal watercraft. 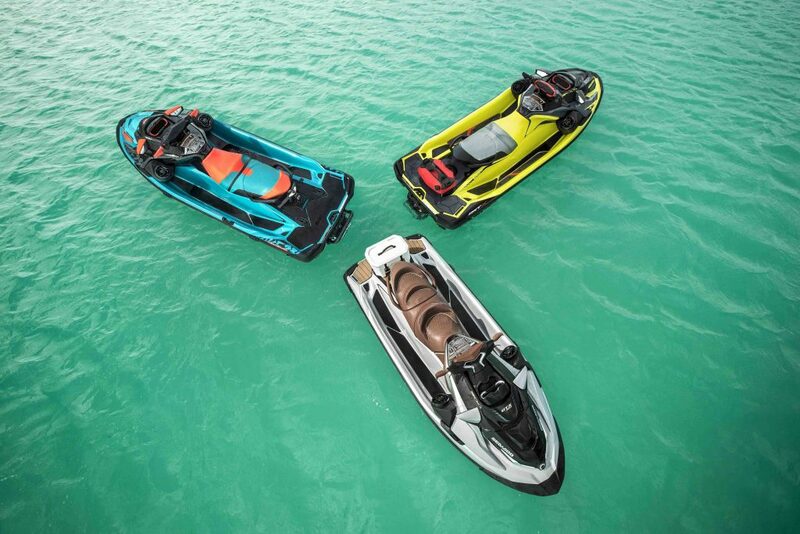 The new platform, which sets the industry benchmark for its stability and control, is available on seven models across the Sea-Doo GTX, RXT and WAKE PRO families. To ensure consumers maximum comfort, the new personal watercraft has a smart reconfigurable rear seat that transforms the watercraft into an onboard living room. It changes quickly from a 3-seat configuration to a flat lounge area, where two people can face each other for a picnic lunch. When removed, the larger, flatter rear deck makes reboarding easier and more stable. Now people can enjoy more time on the water to relax and soak in the surroundings. full day of fun. The storage includes a waterproof, shockproof compartment for a phone with USB charger, as well as direct-access front storage with no standing required. The new platform’s stability and control starts with a lower centre of gravity, which provides more confidence in rough water, at high speeds, and with three passengers*. It is also wider for easier re-boarding and movement around the watercraft. Combine those with a new, deep-V hull that increases performance in rough water and provides better control while cornering, and you’ve got the best of all worlds. In addition to the new platform, BRP also unveiled a Sea-Doo SPARK TRIXX 3-UP with extended seat and rear platform. It maintains the same level of fun as the hugely-successful 2-UP model launched last year, but with an additional passenger and tow sports capability. Pulling off tricks is so easy and so much fun across the entire lineup, you’ll never want the day to end. Simply put, it’s the most versatile entry-level watercraft ever built. There are additional enhancements across the entire 2018 Sea-Doo family, including Performance, Luxury, Tow Sports, and Recreation segments. With the widest selection of models in the industry, BRP offers the right Sea-Doo to fit any adventure, at a price that makes it possible**. JSW is located on the beautiful Gold Coast at 3 Ereton Drive Arundel, QLD, 4214. 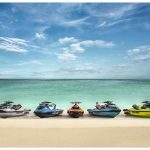 BRP (TSX:DOO) is a global leader in the design, development, manufacturing, distribution and marketing of powersports vehicles and propulsion systems. Its portfolio includes Ski-Doo and Lynx snowmobiles, Sea-Doo watercraft, Can-Am off-road and Spyder vehicles, Evinrude and Rotax marine propulsion systems as well as Rotax engines for karts, motorcycles and recreational aircraft. BRP supports its line of products with a dedicated parts, accessories and clothing business. With annual sales of CA$4.2 billion from over 100 countries, the Company employs approximately 8,700 people worldwide. Tags: Jet Ski Gold Coast, Jetski, Jetskiing, JSW, Seadoo, Canam, Service, Repairs, Insurance, Finance, Mobile, Mechanic, Technician.